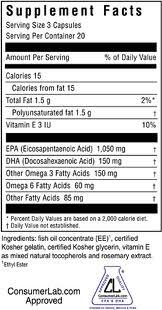 OmegaBrite is the leader in high concentrate Omega-3 supplements based on scientific evidence of efficacy, purity, and safety. Our goal in creating OmegaBrite was simply to create the best Omega-3 supplement possible with a formulation based on science. 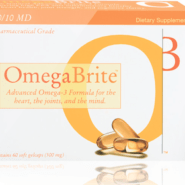 We are very proud that OmegaBrite sets the standard in Omega-3 Supplements. The mission of OmegaBrite is to develop natural products of the highest quality that promote health and well being based on scientific evidence. Omega Natural Science is committed to helping people lead healthier lives with natural products proven by science to be safe and effective. Our commitment to our customers is the foundation of everything we do.